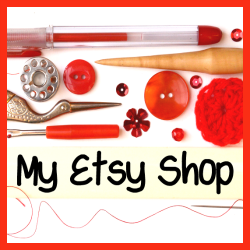 Welcome to the Favourite Family Recipe blog hop. I’m sharing one of my Nan’s old favourites, apple cake. Delicious eaten as a cake or as a dessert. A simple and tasty vegan banana cake recipe, great for using up a couple of over ripe bananas. Here in the UK we have pancakes on Pancake Day or Shrove Tuesday, so today I'm sharing a traditional recipe and some tips. It's a bold statement but I honestly think these mince pies are the best! It's not a complcated recipe and the results are delicious. Can you believe 2014 is nearly over? In a moment of reflective pondering I am taking a little look back at the most popular posts of 2014 here at Sum of their Stories. 1: The most viewed post in all of 2014 was in fact the very first one I publish back on 4th January! I had been playing around making grey crochet flowers and adding just a little touch of super bright wool for contrast. 3: In August I got all super romantic and made this coin special date key ring for my hubbie for our anniversary. 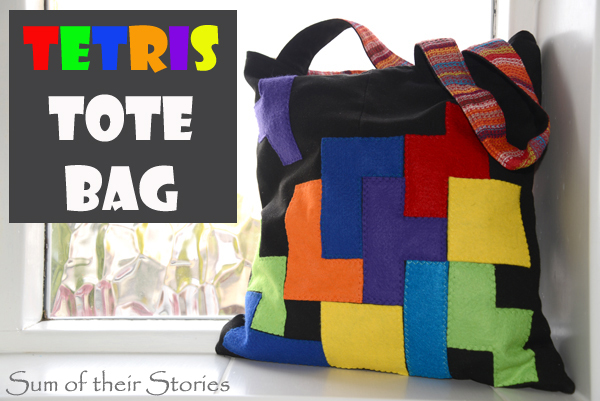 4: I went back to the 80's/90's with my Tetris Inspired Tote bag, apparently I'm not the only fan of those nice simple games we used to play back in the day! 5: I love Doctor Who, always have, always will. In 2014 we welcomed Mr Capaldi as our new Doctor but I had another trip down memory lane and made knitted bracelets inspired by the scarf of the 4th Doctor. 6: My Nan was a great cook and used to make these biscuits for us often. They are a family favourite in our house and are really delicious although I'm pretty sure it's not really the proper way to make shortbread. 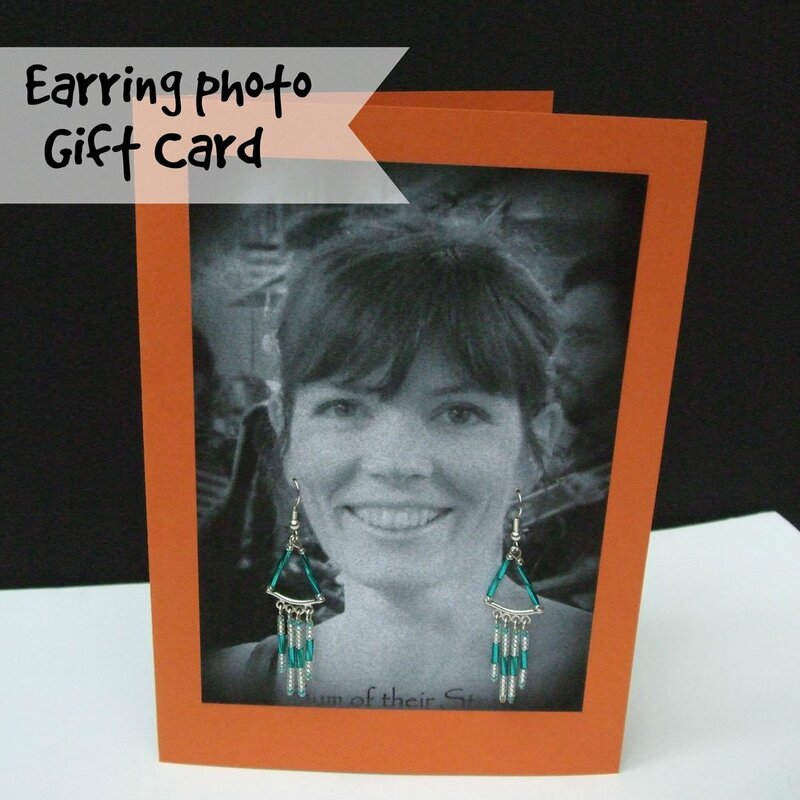 7: This next post features an embarrassing number of pictures of my face as I played on the computer for fun ways to alter photos to make a greeting card to go with a gift of earrings. 8: I love making clothes and don't find the time nearly often enough. This top is so easy and quick even I could fit it in. 9: You just can't have too many reusable shopping bags, but they don't have to be plain and boring. 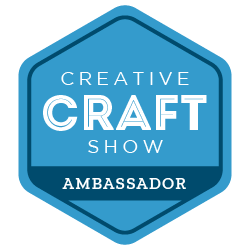 Here's how I added frills to a promotional bag that are reminiscent of Cornishwear pottery. 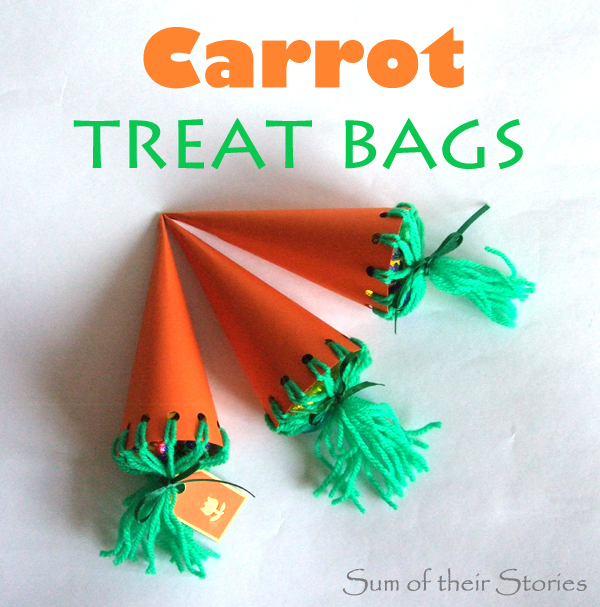 10: At Easter time I shared how to make these little carrot shaped treat boxes that we used to make when I was a kid. It's funny, when I have an idea, make something then write a post I have no idea whether it will be a popular one or not. To be honest I just make things I like, share them and hope someone out there finds it useful or interesting. 2015 is likely to be much the same! Chocolate Fudge Dip is such a nice, easy, healthy(ish) dessert for a special occasion. My mum’s chocolate cake recipe, an easy recipe that makes a lovely moist chocolate cake. 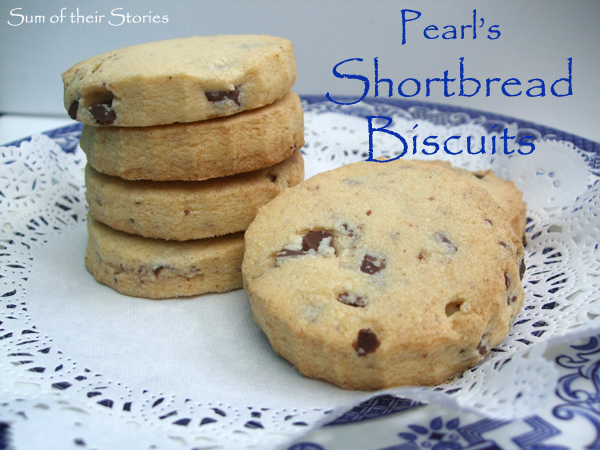 My nan Pearl used to make lovely biscuits which she called shortbreads. I don't actually think this is a traditional shortbread recipe but it is delicious!